Dr Wahid is back! During our latest podcast, he and Dr. Dimitre converse about Sudden Sensorineural Hearing Loss. SSNHL presents with unexplained hearing loss, often unilateral, which tends to develop over a period of 3 days. Most cases are idiopathic and self-limiting, but some can be caused by serious and life-threatening conditions. 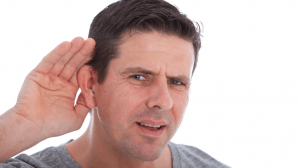 Prompt diagnosis and treatment can often prevent severe hearing loss. Please visit our membership page to access the podcast.